Highline Residences: Good buyers' interest = Good take-up? It was reported in ST today that Highline Residences in Tiong Bahru is drawing quite good response with more than 300 cheques collected from prospective buyers since the preview held about a week ago. However, it remains to be seen how this translates to sales. Many of the buyers are investors who are keen on the smaller units, particularly the one- and two-bedroom types. The 500-unit development is being marketed at an average price of $2,000psf but could dip to $1,900psf after discount. Pricing of the units has yet to be finalised but the estimated asking price for one-bedroom is between $1 - 1.2 million; two-bedroom between $1.25 - 1.6 million; three-bedroom between $1.6 - $2.5 million; and four-bedroom between $2.4 - 2.8 million. The six penthouses are likely to be priced at about $5 million each. Despite the significant buyers' interest in Highline Residences, recent launches have seen take-up rate of only 30 to 50% of the units released. New launches nearby include the 469-unit The Crest and the 429-unit Alex Residences. Both were launched at about $1,600 - 1,700psf and have sold less than 50% of their units so far. Highlight Residences is expected to launch on Sep 13, and only units in the two 36-story blocks are likely to go on sale. When interviewed by ST, a prospective buyer said that the indicative prices at Highline Residences were "a bit high" for a 99-year leasehold project. He would prefer to wait as property prices are likely to ease further. The wife and I felt that he is being way too polite with the "a bit high" comment. Even at $1,900psf, we maintained that Highline Residences is going to be a hard-sell given the current market climate. 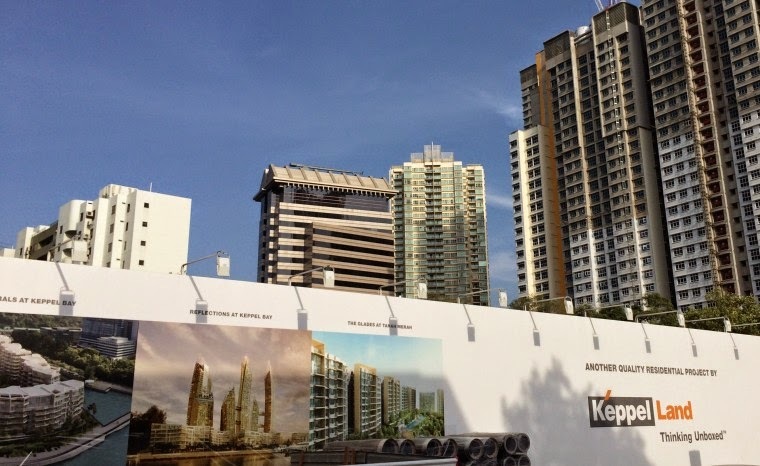 No Comment to " Highline Residences: Good buyers' interest = Good take-up? "